Secretary of the Navy Ray Mabus just can’t stop insulting the Marines. He’s declared he will ignore the results of their 9-month infantry testing to assess Marine women in combat units, saying: the testing was biased, the women weren’t good enough, there were no standards for combat jobs before, we can’t judge based on averages, the testing wasn’t realistic. He intends to open combat units to women regardless of the negative impacts shown and even had the gall to say in his most recent Washington Post op-ed: “Women should be among the few and the proud,” referring to the Marine Corps’ motto, as if women and anyone not in the infantry aren’t already real Marines. Reality-based infantry testing disproves the claims that women can do anything infantry men can do, so the SecNav insults the testers, the tested and the results. I describe the historical use of this oft-repeated tactic in a previous article for Military Review. Mabus could not be a more perfect feminist shill for this gender-political agenda if he had a manual. The SecNav and the Marines are coming from different angles. The Marines test and operate based on their priority: combat effectiveness and readiness, and Ray Mabus on his: diversity. Since the female participants couldn’t, Mabus insulted them, saying, “…in terms of the women that volunteered, probably should’ve been a higher bar to cross to get into the experiment.” To further disqualify the data he said, “…they talk about averages, and the average woman is slower, the average woman can’t carry as much, the average woman isn’t quite as quick on some jobs or some tasks. The other way to look at it is, we’re not looking for average.” But the female participants certainly weren’t average females, and they were not just average female Marines. They were top performers who had at least if not better than a third-class men’s PFT (physical fitness test), and with few exceptions had passed the Marines’ enlisted infantry – an accomplishment touted as proving women are equal to infantry men and ready for combat. 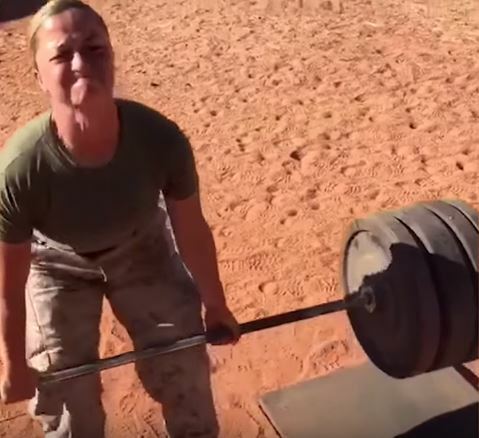 The Marine Corps Times reported that the female participants “tended to be athletic, with high scores on the PFT and combat fitness tests.” Watch this video about one of them and tell me if she looks average to you. It’s not that these women weren’t good enough, it’s that they couldn’t prove a lie. We can be very proud of these women for their ability and accomplishments. They are inspirational. They are the sorts of women we want and want more of in our military and on deployments. They are already utilized where they’re needed most, moving up the ranks, and recognized for their achievements. But military women, even top performers, aren’t interchangeable with infantry men. Averaging more than twice the injuries means they’ll have to be replaced much more frequently than men as this policy is implemented and women have to maintain combat standards over months of continuous training and deployments. It’s not enough to make the lowest men’s standard, or even to pass the enlisted infantry or the Ranger’s leadership course. Mabus said, “Averages have no relevance to the abilities and performance of individual Marines,” but the opposite is true. They’re absolutely relevant when you have to not only prove one or two can do it, but guarantee a predictable, continuing stream of qualified females who can make and maintain those standards in order to fill the quotas mandated by General Dempsey. Right now we have to break hundreds of women just to get one or two who can make it through finite training evolutions. We can assume that these negative results will be multiplied many times in the heat of actual battle. What does it matter if one or two can make the lowest of the men’s standards if they have more than twice the rate of injury, many more high risks besides, and a limit on how much muscle mass they can gain to improve their strength? It’s simply a bad investment. Mabus tells us a diverse force is a stronger one. “When we talk about diversity, we mean the full spectrum of demographics, but even more important, we mean diversity of thinking.” Assuming all men think the same is its own misconception. Regardless, putting women in these units guarantees diversity in the spectrum of ability, from able to unable. Diversity in the spectrum of more to fewer injuries, and greater to less risk. This is going to get more of both sexes killed. Policy of this magnitude should not be made based on the performance of one or two individuals, especially when it affects not just all military women who volunteered for service, but all of America’s young able women who haven’t. The combat exclusion is what makes drafting women unconstitutional, because the draft is specifically for preparing combat troops. Those who scoff that enactment of the draft is unlikely should look to all the other unprecedented things the Obama administration has done. That is why in the past this issue has been the subject of presidential commissions, hearings and congressional oversight. Our representatives should be held accountable for subjecting our daughters to conscription. All Leon Panetta had to do was sign a memo. Whenever Americans have been faced with this question before, they’ve voted No. Will we let some Obama-appointed bureaucrats determine this for all women? The Marines have always been the hold-outs on opening combat and combat-related jobs to women, and for good reason. It’s not because they’re sexist, it’s because they know what killing the enemy face to face on the ground requires. 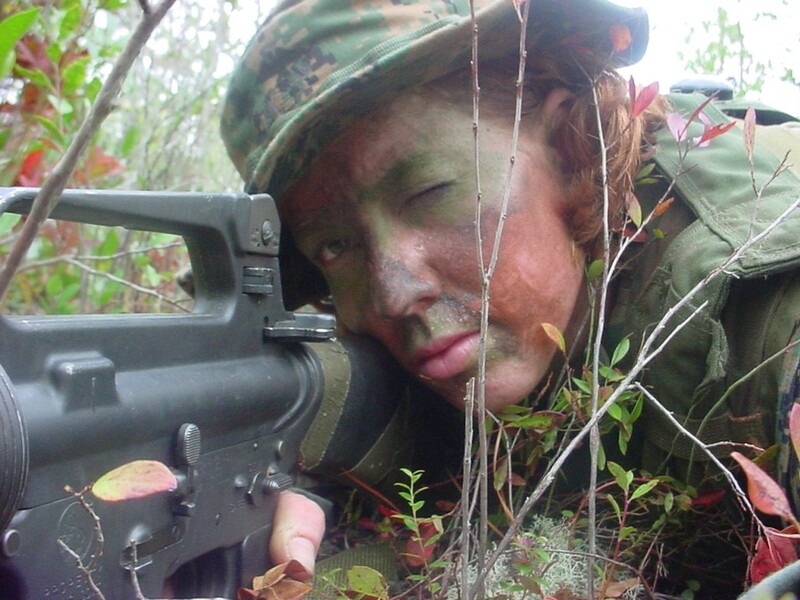 Many support the idea of women in combat because they are supportive of women in general. Until they watch their own daughters register for service, they won’t put much thought into what ground combat requires and what the additional costs and risks to women are that make this not just an unsound investment, but one that puts women, men, and our national defense, at greater peril. General Robert H. Barrow, 27th Commandant of the Marine Corps testimony before the SASC on Women in Combat. June 1991. Jude Eden served in the Marine Corps from 2004-2008 as an 0651, Data Communications, and was stationed at Camp Lejeune. She deployed with 8th Communications Bn to support Camp Fallujah’s computer communications for 8 months in 2005-6, and was also assigned checkpoint duty working with the Marine Infantry frisking women for explosives outside the wire. The NavSec is a political animal. As such most of his decisions will reflect what he believes to be the will of those in charge of him, instead of the best needs of the service.